Open on the sky, the strains of Coldplay's "Yellow" flaring up as the childishly scrawled credits segue into a type of stock image: a fine-haired young boy staring up at the clouds. This is the humble beginning of Boyhood, a gesture towards something like universality so mundane as to be almost off-putting. There's something clunky and homemade about the opening minutes, as if in launching his ambitious project, Richard Linklater wasn't quite sure how best to guide the action. 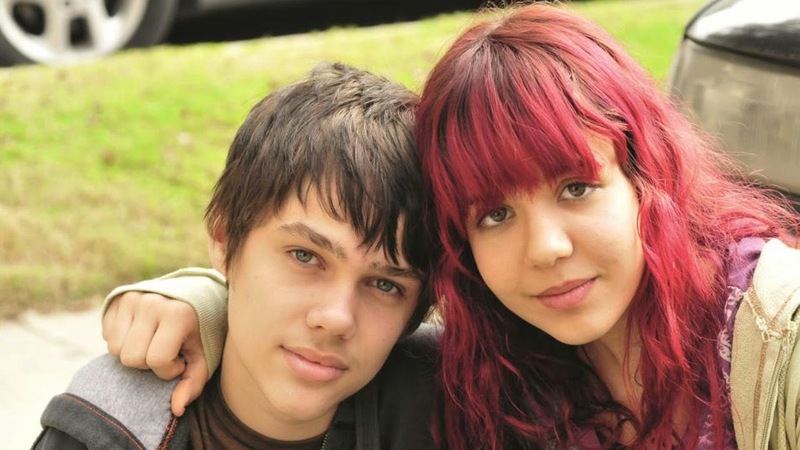 So we're lead slowly through a series of searching moments between between Mason (Ellar Coltrane) and his struggling mother (Patricia Arquette); the act of being picked up from school, the act of overhearing conversations one shouldn't, the act of being baited by his older sister Samantha (Lorelei Linklater). We find that something begins to build slowly out of these strung together bits of naturalism. Scenes feed seamlessly into one another, bound by a sense of developing purpose or small wonder. We're treated to short continuous arcs detailing a day Mason and Samantha spend with their newly reformed father (Ethan Hawke), perhaps, or later, a relationship from beginning to break-up. Always, though, Boyhood dwells in the moments that add up to a life. This is the opposite of what most movies do. Where we're used to seeing lives forced to conform to the usual necessity of story structure and hacked into scenes, Boyhood bridges isolated moments and asks the audience to take something from the shared experience. It celebrates the process of growing up and finds all the little experiential moments that seem stupid or tiny, but guide people through their own becoming. Filmed over the course of 12 years of the actors' lives, Boyhood manages to capture something honest about the experience of childhood even though what we're watching is technically filtered through the life of one kid. The surprise for many will be how evenly paced the process feels, how Linklater has managed to perfectly piece together the snippets of Mason's life so that we forget the conceptual nature of the project. Of course, part of the authenticity of Boyhood comes straight from the performance of the concept. We like to see what happens when we stay with a person, we feel as though we come to know someone when we watch them truly change. That Ellar Coltrane begins the film in one state and ends it a near unrecognizable college kid is a feat of magic performed upon the audience. We get the illusion of proximity to Mason in just under three hours to the point that we can appreciate an extended sequence at his high school graduation party and are, perhaps, very nearly proud of him. We have watched this kid grow up. We have been there. And though Coltrane is not quite Mason and Mason is not quite Coltrane, the two are bound up to the point that we cannot, perhaps, discern where the acting begins and ends. In scenes where Mason and Samantha are quite young, for example, the instances of play and rest ebb and flow to the point that we have the sense the camera is simply trained on them in passing. We watch Mason build connections to different video games over time, and there's a moment spent at the midnight release party for a Harry Potter book that feels too authentic to be fully staged. It's as though Coltrane and Lorelei Linklater never worked on the film, but play acted roles just beyond their usual selves. They are playing, they are experiencing. And we're watching a work of fiction, we're watching it delivered as a work of fiction, but there's always the sense of something true creeping in around the edges. Odd, too, that the acting family begins to adopt a type of resemblance to one another as though growing into positions they've held for so long. That Coltrane, as he ages, continues to resemble a person who could be the offspring of Hawke and Arquette seems like a striking bit of luck; though maybe not. 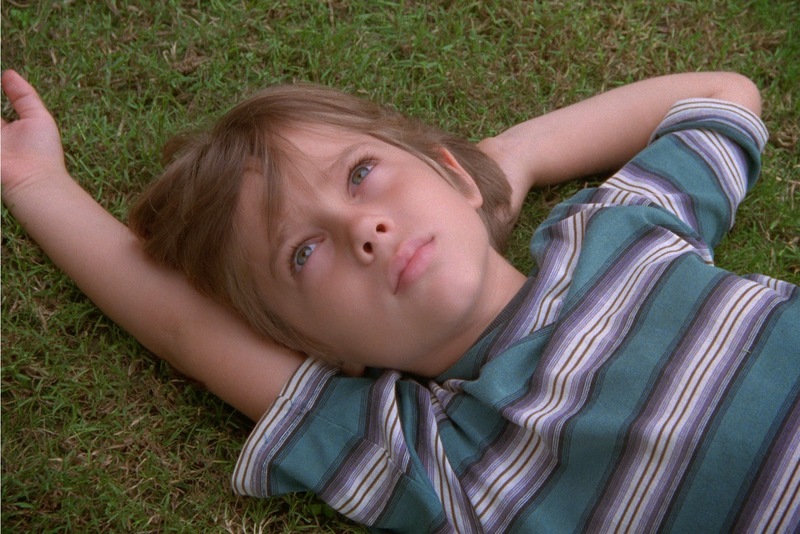 Boyhood is kind of like an earthly companion piece to Terrence Malick's The Tree of Life. It's the unpretentious, more talkative version that manages to be approachable and relatable while still heady with ideas. Where Tree of Life linked the individual experience to the cosmos to show us how small we are (and how great our capacity for feeling), Boyhood doesn't bother with inflating life or reaching much beyond the wonders of its own backyard. Linklater shows us the life of a boy, and the film finds a way to make that life speak to all of us; in fits and starts, video games, mishaps, haircuts, prized possessions, and the delicate balance of a family.